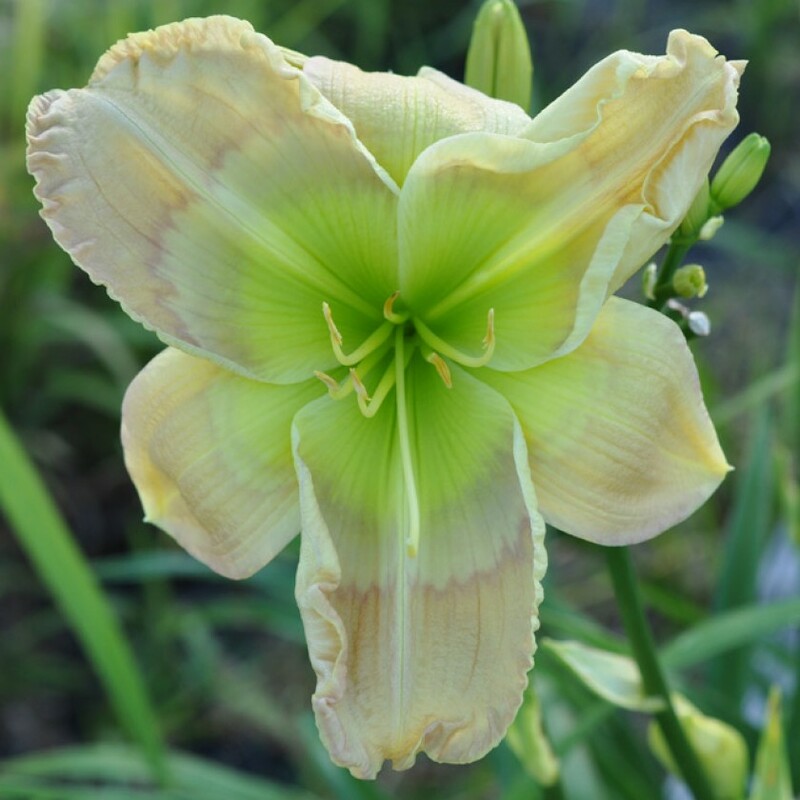 Green Smoke (Nicole DeVito - 2019) Diploid ((Rainbow Over Marietta x Seedling) X Quieter is Louder) Sev. EM Re 33" scapes, 6.5" flowers, 3-4 way branching with 22 buds. Fertile both ways. For me, growing up in South Florida, my parents (while they were married) had a large pond that wrapped around our house which included very unique waterlilies. I will always remember a particular waterlily named Green Smoke. To me, it was so beautiful. When I see this daylily bloom, I am brought back to my memory of the waterlily. 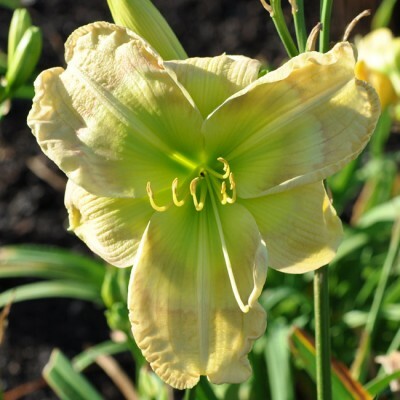 If you haven't noticed, I am extremely cautious with using the words; white, green, and blue to describe the coloring of my introductions of daylilies. However, this introduction, I believe is so unique! It has many true green characteristics. Some vivid, some light, some involving gray tones. That is why I believe GREEN SMOKE is the perferct name. Not to be redundant, it is the epitome of GREEN SMOKE.